Sterling silver Celtic bead features a Trinity knot and a heart with crystals. and white crystals on the other side. is gift boxed with a Celtic knot history. 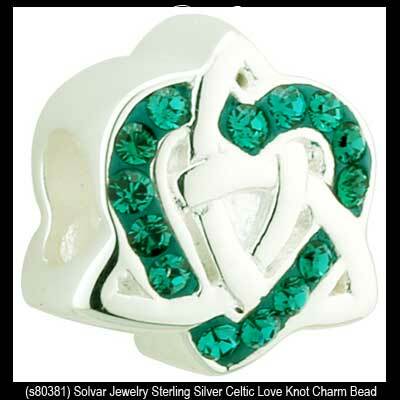 Part of the Fáilte Ireland Collection from Solvar Jewelry and is made in Dublin, Ireland.